We have had more contributions coming in for our visit to the Refugee Children’s Boarding Home tomorrow! 5. Madam Yap Kim Len for her generous donation. Happy Birthday, Madam Yap! Are you ready to spread some love and cheers tomorrow? See you around! 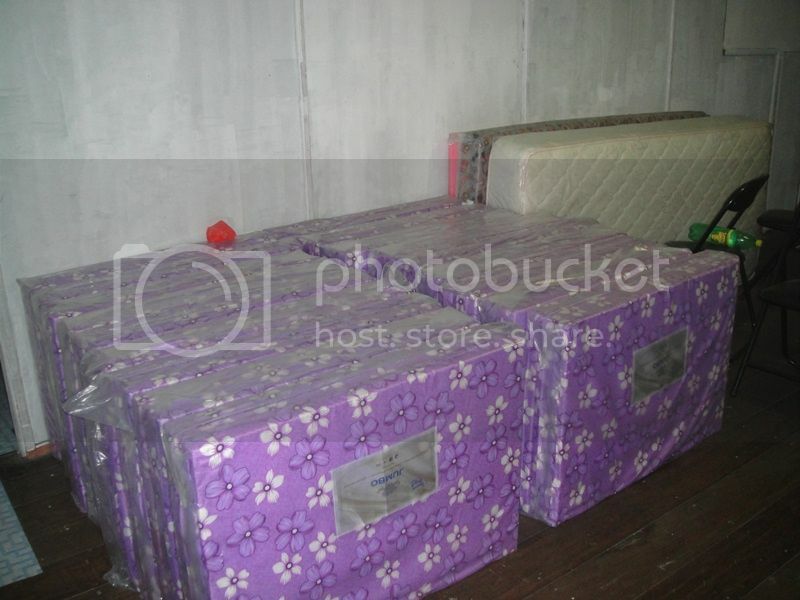 All the items in the wishlist for the Refugee Children's Home in Rawang are almost fulfilled. Please do keep your contributions coming in, big or small! We would also like to request for the help of a volunteer photographer to come along for the visit to the Home this Saturday, 26 May 2012 and capture the happenings of the day. Please email us at trccpenchala@gmail.com if you are keen. In 2007, a group of 20 refugees came to Malaysia and hid in the jungle in the hope for a more promising future. A good Samaritan, Pastor Gabriel, heard of their plight and went in search of them. He then worked towards providing them a home, some living skills and ultimately, a faith that their lives can indeed, change for better. A few years later, they were united with their families and are now waiting for resettlement to other countries by UNHCR. In the meantime, they work odd jobs and earn around RM400 to RM600 monthly to support themselves while their children remain at the Home. To keep these children occupied and constantly expose them to knowledge, Pastor Gabriel started a school for these kids, together with his family. They single-handedly managed the school and taught them English, Science and Mathematics. Today, the school is called the Rawang Learning Centre and gives boarding to 30 children. A total of 65 Myanmar refugee children attend the kindergarten, primary and secondary schools there. Teacher’s fees are funded by well-wishers and their own community. Little Rekha and her mom have resettled in the US! We have got a really great news to share! Remember our visit to Life Shelter (HIV Hope), Rawang in March 2012? Two of the residents there: three year-old Rekha and her sight-impaired, HIV-infected mother, Siamie, have finally resettled in the United States recently. Their wait has come to an end with a chance for a better life awaiting them in the new country. When they first came to Life Shelter, Siamie weighed only 24kg, was weak, bedridden and taking supplements through nasogastric tube. After five months at the home, her health improved and appetite increased. Now, she weighs more than 46kg, is able to sit up in a wheelchair and at times, able to stand with a walker. Today, these mother-and-daughter team are given a new lease of life and opportunities. Our best wishes to Siamie and Rekha! May they be well and happy always. May Rekha grow up to be a wonderful, smart and kind person. We would like to apologise for the date error in the previous post on our scheduled visit to the Refugee Children Boarding Home. Kindly note that the correct date for the visit is this Saturday, 26 May 2012 and NOT 26 June 2012 as previously mentioned. Stay tuned for more event updates tomorrow!